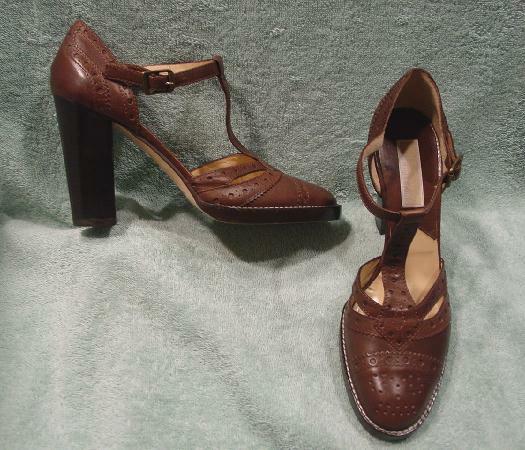 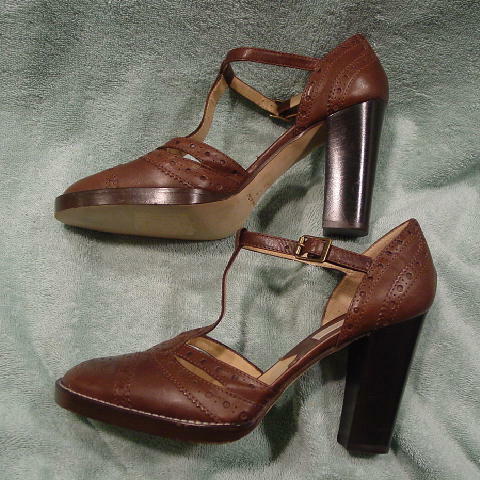 These never-worn dark brown leather T strap shoes are by Michael Kors and were made in Italy. 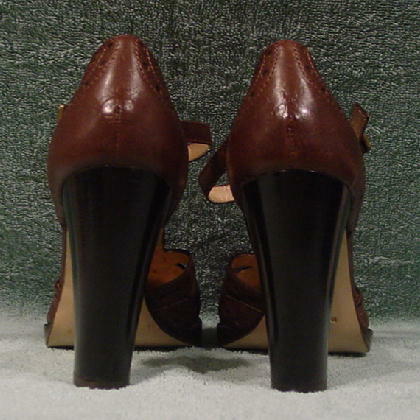 They have faux wood stacked heels, leather soles, and leather insoles and linings. 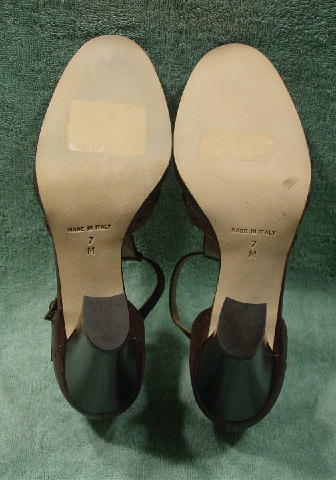 The shoes have a perforated hole design pattern and rounded toes (see the 6th picture for the details). 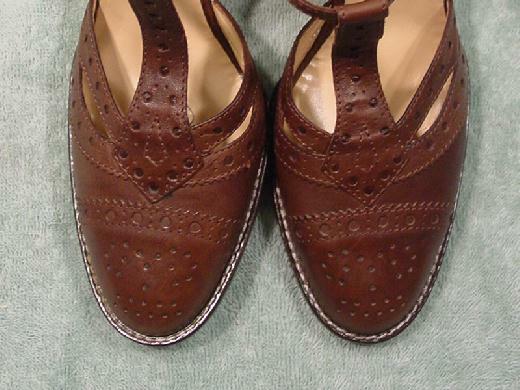 She paid $375 plus tax for them. 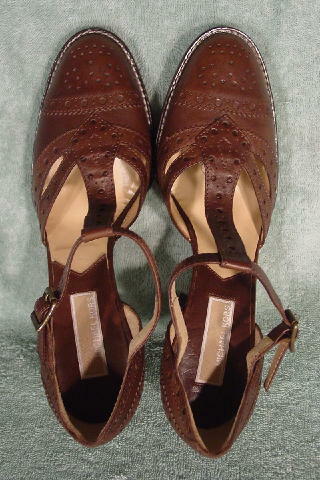 She sold them because she needed the money - her agency didn't pay her for her last multi-day catalog shoot.